Banned in Johor by royal decree? No, not this Vape! But to actually issue a my-wish-is-your-order decree? Mmm. Let's be clear about one thing: I don't vape so I don't really care if it's halal or haram in Johor or elsewhere. But I disagree with this decree thing. What if the Sultan wakes up tomorrow morning and decides to issue another decree - SMOKING is banned (oh, I don't smoke, either) - and then another one the following morning? I am sure Tuanku Yem won't do that but someone else might. I am from Melaka, the former kingdom without a raja, but we have a Governor: what if the Governor wakes up tomorrow and decides he, too, wants to do decrees? We are not Brunei or Saudi Arabia. This is Malaysia. Notwithstanding the Health Minister's response to the Johor Sultan's decree h e r e (Dr S Subramaniam is a Johorean, if you must know), the MoH is the correct authority to ban vape and the Ministry's position on vape is it would wait for scientific studies (Astro Awani, 28 Nov) on the pros and cos of vaping before making any official decision to ban vaping. We should wait for a proper study to be done and then let the MoH issue its executive decree. If you disagree - and a lot of people will disagree, either way - you take it out on the Minister or the Ministry or, as is the practice these days, blame Najib Razak! That way, you spare the Palace from yet another unncessary exposure to ridicule and scorn. are u insane? subra to announce its haram? later that malay minister defender of vape what was his name again, call that a sabotage to malay dominated business. or rather these days when PAU is near, probably he call for big demo for Ketuanan Melayu and scream murder! and that ikan bakar guy dont forget he will want some stonelight as well. without him melayu all kaput. the defender of melayu. except when all melayu rights are questioned or sold. Since quite sometimes, your piece today is worth reading & sensible. But, my opinion is, the last line in your second last para should not have been said. Still trying to protect your master ha .... too obvious la bro. Kalau satu bahan dari planet marikh sampai ke bumi dan memilih malaysia tempat landingnya...mugkin perlu ambil.masa untuk r&d. Tetapi kalau vape, sudah banyak maklumat di dunia, tindakan Sultan Johor tepat kerana kerajaan sekarang terhegeh hegeh. I fully agree with the Sultan's action. Our constitution places great importance on the role of the monarchy and its responsibilities on the wellbeing of the rakyat. It is this unshakable institution that has protected the country against its foes, domestic and foreign. And for a long time, on many matters of national interests, the monarchy's silence has been taken as consent. There is an increasingly big void now in the management of the country. Thank goodness that the Sultan has stepped in. His most gracious wife in recent months has donated more than RM1M to Malaysian students studying in the UK and US to help them tide over the ringgit falling exchange rate. I wish the Sultan of Perak would do the same; use his monarchic powers to help his rakyat. That what happens when u have a Government running on an autopilot mode. To make matters worst, its heading top speed to the cliff..
You're very stupid rocky's bru. Why I said stupid.... coz your argument is childish and silly. No mature and clever man will argue like that.... I am not the spokesman for the anybody... but it is the very right thing to do.... just because the politicians are still ding-dong about it. It will take a very long time to pass a law against vaping.... So before something unpleasant being passed by the government.... It is the rightest thing to do. FULLSTOP. I support the Sultan. Finally we found a Sultan that care to rakyat rather than "business" and politic. Vape is truly no different with long known illness .... smoking. Proud to be a Johorean. So why hasn't he.banned smoking brah? That illness has been around longer than Evil Vape. vape tlh berjaya menghalang mudarat yang lebih besar(rokok) sama seperti pemberian jarum percuma dikelantan berjaya mengurangkan kadar hiv aids. Dadah tetap kita perangi begitu juga rokok,jadi langkah yg sngt berkesan skrg adalah vape,rata2 perokok yg menghisap vape tidak lgi merokok, apakah tuanku ingin melihat rakyat terus berada dlm mudarat yg lebih besar serta berlipat kali ganda lgi membazirkan wang pembayar cukai yg terpaksa ditanggung utk kos rawatan perokok. Agree with you Datuk Rocky. Do we want Sultans to issue decree? One day it will crosses the line. What if one day the Sultan says DSNR should not come to Johor. What we will do then. Better the Sultan than Jakim, JAIS, MAIS or goevrnment. The Sultan is more far sighted and fairer than the current government ministers. I hope the Sultan will decree a ban on tobacco cigarette as it is already known the ill effect. That will be epic. HRH has better things to do.I disagree.Why not ban smoking as well.Let the rakyat decide what is good for themselves.Make rules and regulations that do not infringe our rights to choose. Rocky, I don't agree with most of what you write, but let me say, I do agree with you on this. Yes, HRH Sultan of Johor of late seems to be popular or a populist, usually a forte of politicians. Ours is a constitutional monarchy and HRH should not issue decrees. He should advice the government to look into it and thats all. For all those supporting the decree, it may be right thing but flawed in principle. Think again. There is something sinister the way the Johore sultan issueing a decree . The last time he tried to issue a decree was on land matter whereby his final approval is required . It looks like he want to exercise his authority the same way as the Sultan of Brunei . Fortunately / unfortunately ... this is Malaysia. I thought that Malaysia was a constitutional monarchy with an elected Parliament. Well somethings seem to be altering in this day & age! What has happened to all the struggles of the Malaysian people for Independence and a nation that reflects the aspirations of the rakyat. Are we moving away from it? Be wary of Johor royalty. Mahathir had to bring it top heel because of the murder of that caddy, remember? That is just the tip of the iceberg - look at pronouncements on medium of instruction in school, now vaping, etc. Is Johor getting ready to be an absolute monarchy? Do not forget that the late Sultan (father of the present sultan) decreed that he was to be styled in English as " His Majesty, King of Johor". The style of 'His Majesty' is reserved only for the Yang Di Pertuan Agong under current usage. Tuanku Sultan's directive to ban vape smoking is clear as nobody is allowed to do so at all the premises and ground in the Istana Besar, including all the other Istanas in JB. Ampun Tuanku. Harap tak ada pak guard, tukang kebun, tukang cuci dan lain2 tukang dan pekerja2 istana tuanku (termasuk juga askar2 tsj) terkesan dengan pengharaman vape ni. Mungkin tak lama lagi rokok pun ikut sekali haram. Bagus sangat. 100% setuju. Masalahnya walau haram, walau mahal, walau menyalahi undang2, walau kena denda ribuan ringgit sekalipun perokok, penghisap vape tegar ambik pusing ke semua ni? Kalau diaorang nak hisap, bukan diorang peduli dalam restoran, tepi tangga, dalam toilet. 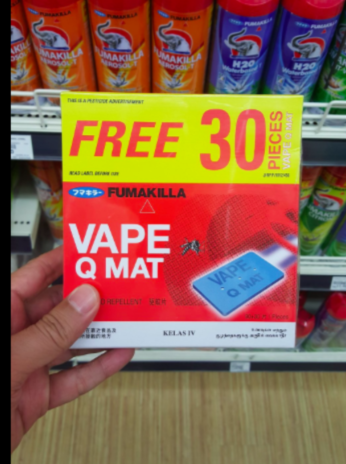 Jadi bila ada rakyat Johor dengan selamba isap vape dalam bas ke, keretapi ke, tempat awam ke ape lepas ni (mesti ada punyalah, kalau tak ada ajaib sungguh) adakah mereka ini akan dikira derhaka pada sultan? Adakah mereka ini akan dikenakan hukuman buang negeri? I fully support the Sultan. This is because it is clearly can be seen that the youngsters are start picking up vaping. This will definitely destroy their health. Government ministry are fighting each other on who to issue the order to control the vape or to ban it. They are too busy with nonsense issues. So, Sultan Johor did the right thing. Don't like it, too bad.